….because it’s not massively interesting to me in an I-had-to-watch-every-episode way but it is one of the few TV shows we can all comfortably watch together – and we’re aged one to 40-something. After kind of trashing it here and here I’ve got say to that I enjoyed watching the final of MasterChef Australia last night. I haven’t watched all of the episodes, and only bits of the ones I have seen, but it’s been fascinating watching the final three contestants, Amelia, Laura, and Brent, searing, sautéing, and sous-vide-ing through ridiculous culinary hoops as they chase after their respective dreams of opening restaurants or whatever it is those crazy kids want to do after they’re let out of their self-inflicted confinement in the reality show house. It is strangely inspiring to see this guys and it makes me wish I could sign up for a similar deal. I wouldn’t run in a cooking competition but I could sure use a writing competition along similar lines as MasterChef. Just not televised. And not quite so sadistic. I watch these guys learn from world-class, cutting-edge restauranteurs and cook meals for famous food critics and I’m jealous. That’s an incredible boot camp for home cooks, and I’d love a similar boot camp for writers. I’m no masochist though – I’m not sure how I’d handle a bit of my prose of an attempt at poetry being ripped up in front of me, or told that my offering was completely disgusting. Disgusting! Or bland! Ouch. Not sure I could put myself out there like that. One thing I definitely don’t have is the feeling that writing is my ‘life’, in the same way that these guys say that cooking is their life. It isn’t. But it’s certainly impressive to see how they’ve developed their skills and confidence so much and so quickly. Incidentally, I’ll be trying some vegan and gluten-free recipes soon which my sister’s been tinkering with in her kitchen and tells me are very tasty as well as super-healthy. 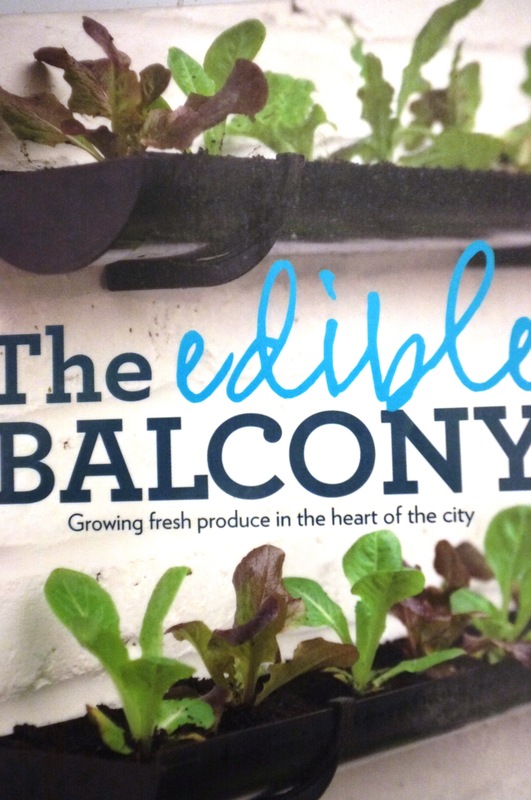 And after living in a huge gardening and cooking rut for a very long time I’m inspired by this book I found in the library last week, The Edible Balcony by Alex Mitchell (pictured above). So far we’ve planted snow peas, carrots, coriander, basil, shallots (green onions), and parsley. I’ve got spinach to put in too. I wish it were as easy to plant and grow a book or two!